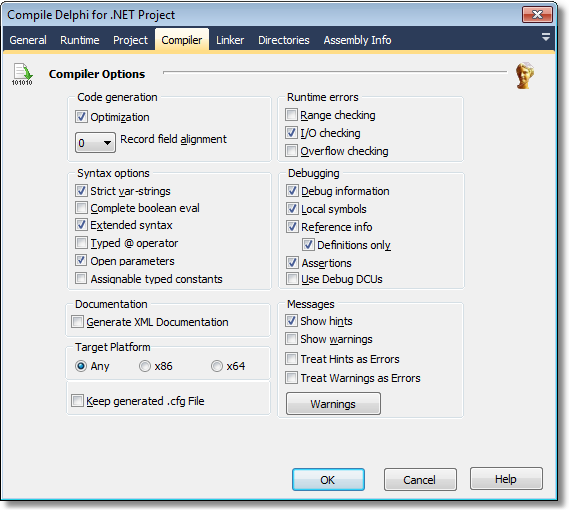 This action will build Embarcadero Delphi™ for .NET projects (.bdsproj). 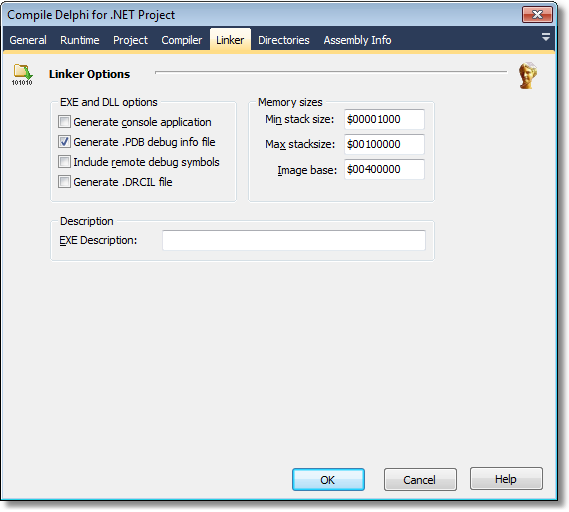 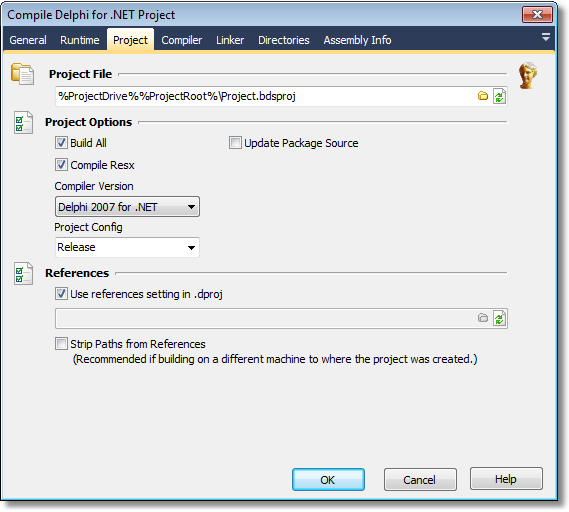 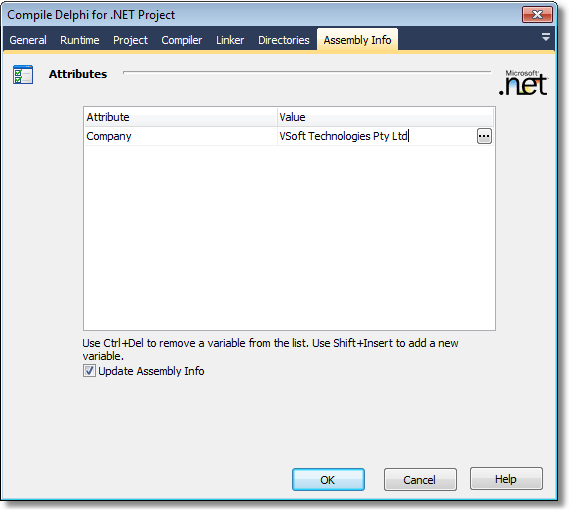 Delphi for .NET is significantly different from earlier versions of Delphi, thus requiring a separate action. 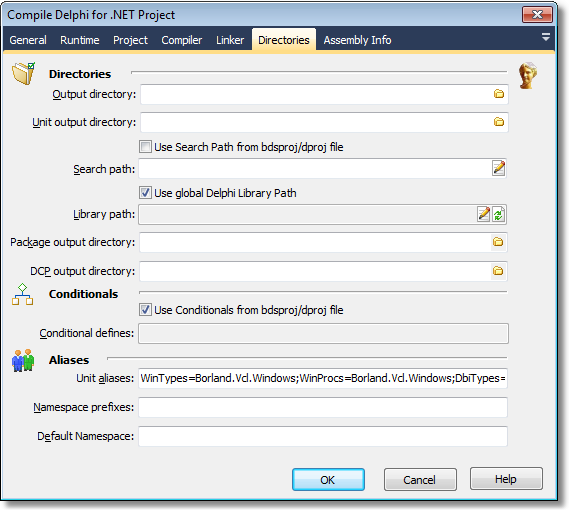 Project File - the path to your .bdsproj file (only for Delphi for .NET projects, for Win32 see the Compile Delphi Project action).